Quicklink: Forgotten New York Does Bushwick! It’s official, folks! 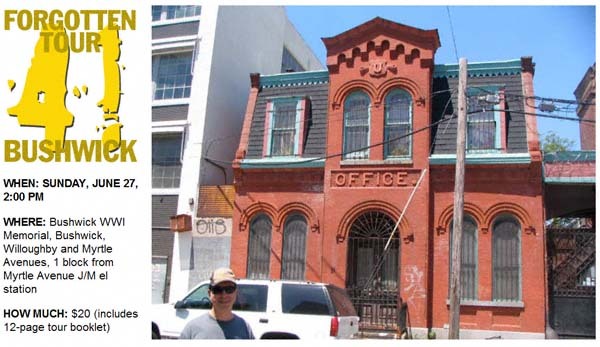 The inimitable Kevin Walsh of Forgotten New York will be conducting a tour of Bushwick Sunday, June 27! You can get the full 411 (and RSVP) by clicking here. I can hardly wait! June 27, 2010 starting at 2:00 p.m.